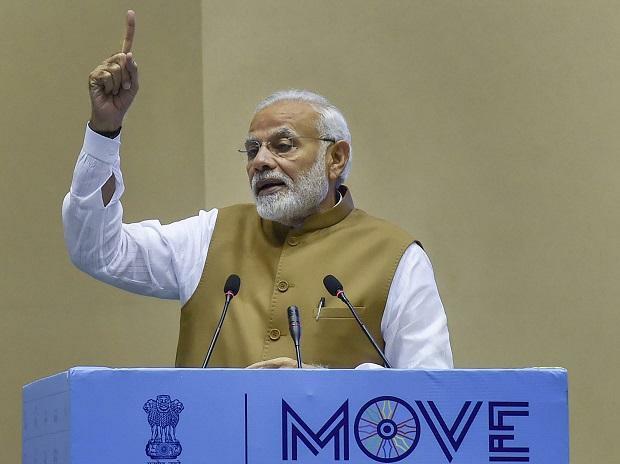 Prime Minister Narendra Modi on Friday said that the government would soon put in place a new policy to promote the use of electric vehicles in the country and fight against climate change. "We want to build India as a driver in electric vehicles. We will soon put in place a stable policy regime around electric and other automated vehicles...Clean mobility powered by clean energy is the most powerful weapon in our fight against climate change. This means a pollution-free clean drive, leading to clean air and better living standards for our people," he said. "My vision for the future of mobility in India is based on 7 Cs -- common, connected, convenient, congestion-free, charged, clean, cutting-edge." He was speaking at the 'Global Mobility Summit' here, in which a number of industry leaders, including Suzuki Motor Corporation Chairman Osamu Suzuki, participated. Charged mobility, Modi said, was the way forward. "We want to drive investments across the value chain from batteries to smart charging to electric vehicle manufacturing." "India's entrepreneur manufacturers are now poised to develop and deploy break-through battery technology," he said. The Prime Minister also said India's economy and reforms were on the move in this direction. He said mobility being a key driver of the economy, reduces the burden of travel and transportation, and can boost economic growth. He mentioned common public transport; going beyond cars, to other vehicles -- scooters and rickshaws; vehicle pooling as key factors to check the economic and environmental costs of congestion. New business models driven by digitisation, are reinventing the existing paradigm. Convenient mobility means safe, affordable and accessible for all sections of the society. This includes the elderly, the women and the specially abled. "We need to ensure that public transport is preferred to private modes of travel...Hence, there should be emphasis on de-bottlenecking of networks." "This would result in fewer traffic jams and lower levels of stress for commuters."